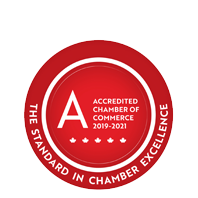 Canadian IPG Group | Industrial Equipment & Supplies | Material Handling | Tools | Safety Products | First Aid Supplies & Training - Business Directory - St. Thomas & District Chamber of Commerce - ON, ON ? Canadian IPG Corporation provides sales and service of industrial equipment and supplies to area manufacturers and related businesses. Products available include abrasives, cutting tools, maintenance, repairs & operations products (MROP) material handling needs, health & safety supplies and tools of all kinds.